Ever wondered what awards and qualifications lifesavers require? Thinking about becoming a lifesaver or obtaining a new award? This page contains information about patrolling, awards and training and links to the awards offered by LSV and the Wye River SLSC. If you're a new member and looking to get started on patrols straight away your first stop should be your bronze medallion (age 15 and above) or surf rescue certificate (age 13 - 15). If swimming is not your style you can still get involved as a first aider or even as a radio operator! Other awards include spinal management, IRB certificates and training officer awards. All active members at Wye River SLSC are invited and encouraged to patrol. The only requirement is that you hold a minimum of a Radio Operators Certificate and you can be involved! 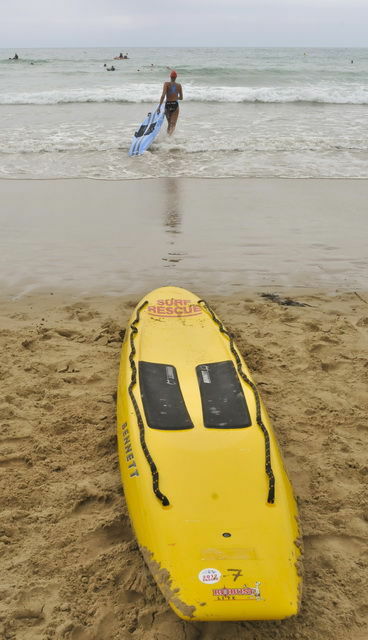 Generally, however it is preferred that you hold a current Surf Rescue Certificate, or Bronze Medallion. These courses are ran annually, enquire with the Chief Instructor for dates. In the 2017/18 season our beach is patrolled on all weekends from the end of November until April, as well as all Public holidays. In addition to this, paid lifeguards patrol the beach during the week over the busy summer period (late December-February). Before attending a skills maintenance session it is vital that you are a financial member and have completed the online assessments for BM, SRC and IRBC/D. A link to the online assessments is here. This sseason, all members with the old ART certificate will need to upgrade their qualification by undertaking a full ART assessment. This can be completed at Wye River on 27 December or 4 February. Remember that you are expected to attend all of your rostered patrols throughout the season. If you cannot attend then you must find a replacement and also contact your Patrol Captain or Vice-Captain to advise them. You should aim to arrive at least 30 minutes prior to patrol time to set up and remain afterwards to assist with pack up – late arrival or leaving early should only be with the express permission of the Patrol Captain – this also is for club members wishing to do hours outside of their normal patrol. You must wear your club bathers under your full patrol uniform. It is a Policy of Surf Life Saving Australia, Life Saving Victoria and Wye River Surf Life Saving Club that members 18 years and over that are involved in Patrolling, Fundraising, Nippers or any activity that may include contact with a minor to have their Working With Children Check completed and a copy filed at the club. Wye River Surf Life Saving Club is required to ensure that we retain a copy of the member’s volunteer application receipt number and, when issued, volunteer WWC Check card number. Details of the card number and date of issue must be entered into the Surfguard Membership Database under the relevant check boxes in member’s details. Under the Policies set down by SLSA and LSV, Wye River Surf Life Saving Club must not allow any member who cannot produce a copy of their application receipt and/or check card to undertake child-related activities until such time as such receipt and/or card are sighted by an authorised club member. If our Club is found to be in breach of this policy, the Club will be subject to disciplinary action. Members that are wishing to participate in Lifesaving Sports activities must register 16 hours of patrols in the previous calendar year in order to compete. Active Reserve Patrollers must lodge 8 hours. This same requirement is what constitutes a “year’s” worth of patrols however is tallied over each season rather than calendar year. The club's bunkhouse is available for use by active patrolling members on patrol weekends and during January when assisting with club activities such as water safety, training and fundraising. Members under the age of 18 are required to complete and return this form prior to sleeping overnight in the bunkhouse.